The introduction of PPA in September 2005 brought challenges for schools to cover the void in teaching time. Excel can help not only to fill the gap but enhance the quality of sport provision in schools. Following the exciting announcement in March 2013 that the government are going to be paying for extra coaching sessions to improve the quality of sports and PE provision, we at Excel would love for the opportunity to offer you a free morning or afternoon of sport, in a PE lesson environment, so you can see first-hand the type of work we do. 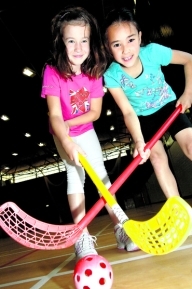 You can choose your free sessions in either: invasion games, striking and fielding, dance, gymnastics, problem solving, athletics, net-wall games or multi-sports. Our specialist, qualified coaches will come to your school to deliver educational and fun packed sessions at a time that suits you.